The 2017 Nigeria Professional Football League (NPFL) Invitational which will hold in Kano from 11-17 December is already generating a buzz all over the country as fans of the league salivate a return to the field of their favourite teams and stars. This time out, six teams will be involved in the tournament that serves as the official dress rehearsal for the incoming season proper. Reigning champions Plateau United, Aiteo Cup winners Akwa United will join Lagos side Mountain of Fire and Miracle (MFM) FC, Enyimba, Kano Pillars and the Super Eagles billed to take part in the 2018 African Nations Cup (CHAN) for a six-day football fiesta. The teams will come loaded with their stars and most will be looking to make a statement in Kano. 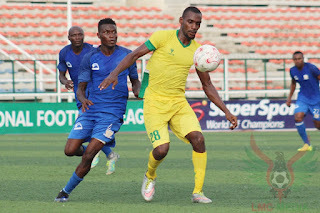 Andrew Randa writes this for npfl.ng and takes a cursory look at the teams and also comes up with a list of six stars (one each from every team) who will likely set the clear Kano skies alight when the tournament gets underway at the Sani Abacha Stadium, Kano next week. 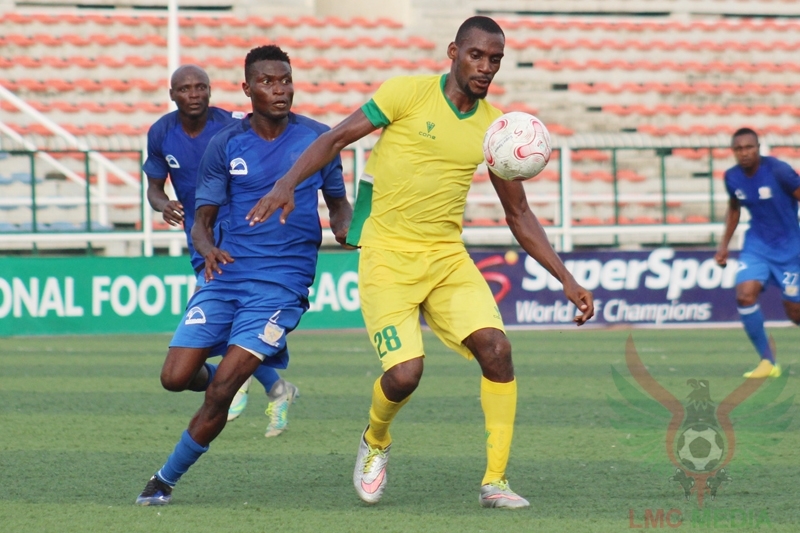 The defender, who can also double as a defensive midfielder, was one of the reasons Plateau United won a first-ever league title as his leadership from the back (and sometimes from the middle) saw the Jos side best every team to the tape. Tall, strong and built like an ox, Golbe has come a long way from schoolboy football to the professional ranks. Aside from shutting out opposing attackers, he has also contributed his fair share of goals - five in total last season, three of them from free-kicks. He has good organisational skills and commands the respect of his team-mates, an important ingredient to Plateau United’s success. Golbe has already upped the ante before the NPFL Invitational revealing that his time will be in Kano to prove their success in the 2016/17 season is not a fluke. “It’s true a lot of people will take us seriously this time round which means we have to do more on and off the pitch to prove we are champions of Nigeria,” Golbe told npfl.ng. Surely, Golbe will be one of the players to watch out for especially when his side face Enyimba in the tournament opener next Monday. The striker needs no introduction. Olatunbosun’s heroics last season saw him nick the CNN Goal Of the Week award in March this year and he will be looking to set Kano alight when the 2017 NPFL Invitational tournament starts on December 11th. 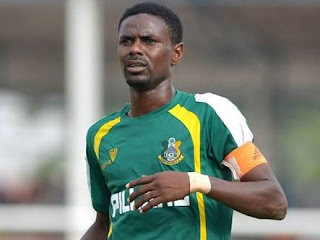 A member of Nigeria’s CHAN team, he has been one of the leading lights of the Lagos side who have been preparing hard for the NPFL Invitational. Despite being in the shadows on the now departed Stephen Odey, he has been able to carve a niche for himself as his own man scoring seven goals with an impressive 10 assists helping his side qualify to play in a first-ever CAF Champions League. MFM coach Fidelis Ilechukwu will bank on Olatunbosun to lead his attack in Africa but before then there is the little matter of the NPFL Invitational, a competition MFM Media Officer Wale Quadry says will be the strikers play-field. “I’m tipping Sikiru (Olatubosun) to shine at the competition. Olatunbosun is a player for the big occasion and the NPFL Invitational is a big tournament. He has been consistent with his performance for the past seasons,” Quadry revealed. “Yes, he has been doing fine with his displays during our preparation for the NPFL Invitational and I think he will excel during the tourney,” he added. Nwagua was a relatively unknown quantity at Lobi Stars but came into his strides when he moved to Kano Pillars during the second half of the 2016/17 season. It was where the forward needed to thrive. Five goals at the end of the season has made him an integral part of Ibrahim Musa’s squad. Only the ever-reliable Rabiu Ali and to some extent Junior Lokosa (another mid-season recruit) did as much as the striker did. Now into his first full season with ‘Sai Masu gida,’ he hopes to continue his meteoric rise in the NPFL with a stellar show at the NPFL Invitational tournament holding on his home turf. Big, strong and always direct, Nwagua has been compared to Arsenal’s Olivier Giroud by Kano-based football blogger Ismaeel Tangalashi. “Nyima is tall, strong and uses both feet quite well. Not many knew about him when he came to Kano in the mid-season but he is a key man in the team now,” Tangalashi told npfl.ng. “He scored six goals for the team and Kano fans can’t wait to see him play at the invitational tournament. I’m sure he will be the star of the show,” he added. The veteran playmaker, like the proverbial wine, keeps getting better with age after emerging as the stand-out Nigerian player at the 2017 WAFU Cup of Nations in Ghana. 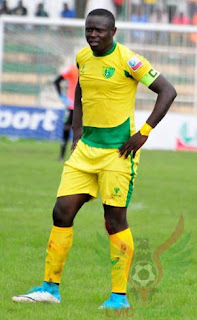 The Kano Pillars captain will easily stroll into any club in Nigeria but will feature in the tournament as an Eagle instead of donning the ‘yellow and green’ of Kano Pillars. Not the fastest player you might see on a football pitch but he makes up for that with great vision, awareness and deadly shots from his favoured right foot. Ali also has some fantastic free-kick taking skills packed in his rug-sack which he uses to devastating effect. He is usually the first man in Salisu Yusuf’s line-up as he has proved indispensable despite his veteran status. Kano will definitely come alive when he takes to the pitch, not just because he will be wearing the national colours, but because in Kano, Ali always finds his mojo on his home turf. The Benin Republic team can testify to that. Captain and leader of an Enyimba side looking to take back the title they won two seasons ago and no better way to signify intent than a great showing at the NPFL Invitational in Kano. Udoh smashed Jude Aneke’s record of 20 goals in the league by scoring 23 of his own to announce himself on the Nigerian football scene. Injuries and loss of form saw his progress stunted but he has overcome that and has shown glimpses of what made him tick in the past. His form towards the tail end of last season was quite impressive and he will look to continue in that stride in Kano. 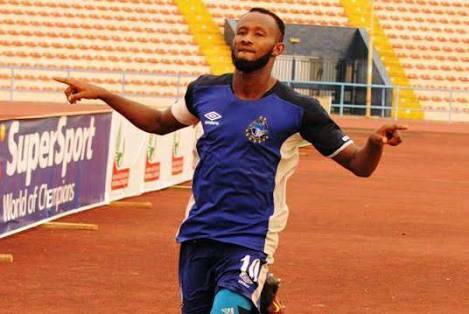 The former Akwa United man is blessed with pace and a cunning ability to get past defenders with a shimmy or two. Enyimba have held on to their man despite interests from home and abroad as they prepare to launch an assault on the continent once again. The NPFL Invitational will be a perfect dress rehearsal for the Peoples Elephant who have not quite achieved the lofty heights of 2003 and 2004 when they won the CAF Champions league back to back. Udoh will be the man to lead the charge and will definitely light up Kano when the teams converge to test each other. The only goalkeeper to have made our list and deservedly so with stellar 2016/17 campaign that saw him lead his Akwa United to win the 2017 Aiteo Cup in Lagos two months ago. The former Flying Eagles goalkeeper has an imposing presence in goal with his height and build but the story does not end there. 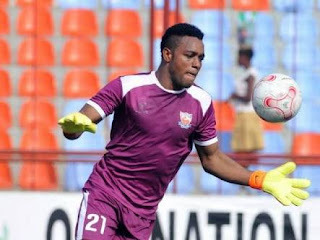 He is arguably the most improved Nigerian goalkeeper on the scene in the last two years as he shone for Giwa FC then Sunshine FC before moving to Akwa United and cementing a first-team spot. 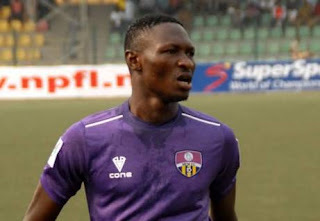 Ojo is quite good at stopping spot kicks as he showed in the league and Aiteo Cup to boost his already rising profile. The 2017 NPFL Invitational will be an avenue for Ojo to show how much progress he has made over time. One thing for sure is when the highlight reel of the tournament is documented, Ojo will definitely be part of the action. That is a given.